Sandoz announced a commitment of $10 million USD in medicines to Americares. In late 2016, Sandoz, a Novartis Division, announced a commitment of $10 million USD in medicines to Americares, a leading health-focused relief and development organization that responds to people affected by poverty or disaster. The initial donation includes a variety of Sandoz products for treatment of infections, cardiovascular conditions, eye care, skin conditions and musculoskeletal pain. This commitment is the latest Sandoz US partnership with Americares — a relationship dating back to 1989. It is also just one part of the overall Novartis and Sandoz global commitment to combine a broad portfolio of quality on- and off-patent medicines with innovative business models and corporate responsibility programs. This global strategy defines our approach to improving access to medicine based on income segments. (See figure below). “Our partnership with Americares is an example of how we take a strategic approach to philanthropy to provide access to underserved populations, ensuring our medicines get to where they are needed most. As an organization, Americares is amazingly effective in meeting very specific needs in the hundreds of countries they serve,” says Sandoz US VP of Communication, Leslie Pott. The strategy defines our approach to improving access to medicine based on income segments. It began when an associate approached Leslie Pott to discuss the possibility of a product donation program. Fast forward 15 months and an agreement with Americares was established. Americares and Sandoz are working to distribute the donated products to countries and regions where they can be immediately used, with Americares owning the country selection process, the warehousing and distribution, and the collaboration with The World Health Organization (WHO) to be compliant with their guidelines. Communication policies and procedures ban unsolicited donations and are only coordinated when an organization asks for help. Both Sandoz and Americares follow these principles. 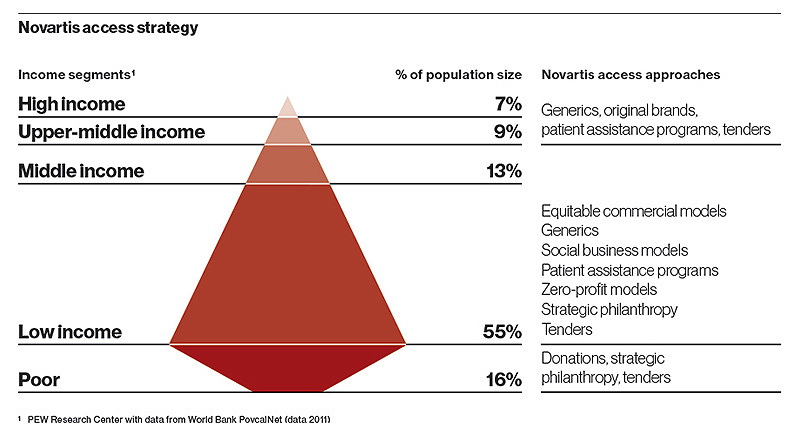 Moreover, successful donations often require an immediate need for the product in a particular population. Proper storage capacity and/or refrigeration are also important considerations. Americares meets and exceeds these standards of shipping, handling and needs-based delivery. In addition to emergency response in the U.S. and elsewhere, ongoing product donations are embedded in our company’s patient access efforts around the world. Recently, Americares identified immediate medical needs in El Salvador which were a match to the array of available Sandoz products. 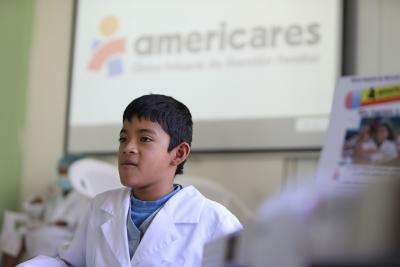 Americares began the process of connecting Sandoz to a local non-profit to discuss available medicines needed by hospitals, ad hoc medical clinics and groups that sponsor medical providers for short-term projects. Americares was then able to deliver several units of Sandoz medicines to the region to fulfill immediate needs. 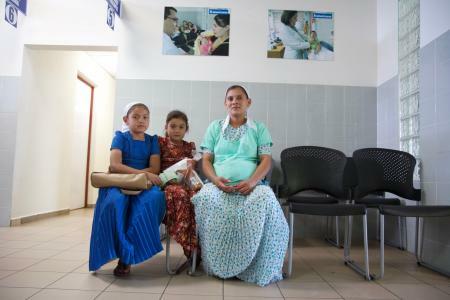 Over a third of the poorest people in El Salvador still lack access to both public and private medical care while they face many of the health issues associated with poverty. Watch a video about El Salvador’s Morales family and the impact that Americares partners have had on their lives. Americares delivers Sandoz products to health facilities throughout El Salvador, including the Americares Family Clinic in Santiago de Maria pictured above. In its nearly 40-year history, Americares has worked to deliver $13 billion in humanitarian aid over an average of 30 emergency response actions each year. It partners with in-country non-profits—delivering to areas that are hard-hit by outbreaks, war and the grueling day-to-day toll of starvation and poverty. Americares serves countries in Africa, as well as Afghanistan, the Dominican Republic, Honduras, Peru, Uzbekistan, and hundreds more. "Our collaboration with Americares will help thousands of people receive treatments that would otherwise be unavailable to them. At Sandoz, we are passionate about helping people around the world access high-quality medicine with a particular emphasis on meeting specific health needs in underprivileged communities,” says Peter Goldschmidt, President of Sandoz Inc.
To learn more about Americares and its product donation partnership with Sandoz, contact Leslie Pott at [email protected]. To learn about Sandoz and Novartis Patient Access Initiatives, click here.